This Special is about black and white photography. In former times, there were no alternatives to this kind of photography available, but today black and white photography hardly survives in the stock photography business. Maybe monochrome photography is considered more artistic than stock-worthy, maybe image buyers and editors do not really focus on black and white (yet). On the other hand, there might be a low volume of black and white images produced because many photographers don't know how to professionally handle this special kind of photography or just don't like to. We do not know the true reason for that for sure, but we would welcome an increasing volume of monochrome in stock photography. "It's fascinating that pictures from the old times of analog photography have such an incredible effect to the viewer. Back then, expensive film rolls had to be used, and you always had to choose between black and white film and color film. The photographers of those days used their best skills to compose and develop impressive images. Today it's different. Today we have the possibility to delete less good pictures right away, and the number of produced photos is technically nearly unlimited. This is what made us photographers acting a bit careless. Furthermore, we are free to decide between black and white or color for each single image even after it has been created. We are able to post-process these pictures afterwards on the computer as we want, and we can convert any color image to monochrome. This makes us producing just color images in the field. Sad but true, many of us are too lazy to switch between these modes already in-camera prior to composing the shot. The decision if a certain photograph should come either colored or black and white should be done in the creative process of capturing, not afterwards on the computer. Black and white photography is a kind of art that most of us forgot to appreciate. Over the years I've learned to value and love this sort of photography. Unlike color photography, it is clearly harder to create an amazing, impressive black and white photo, fascinating the viewer. 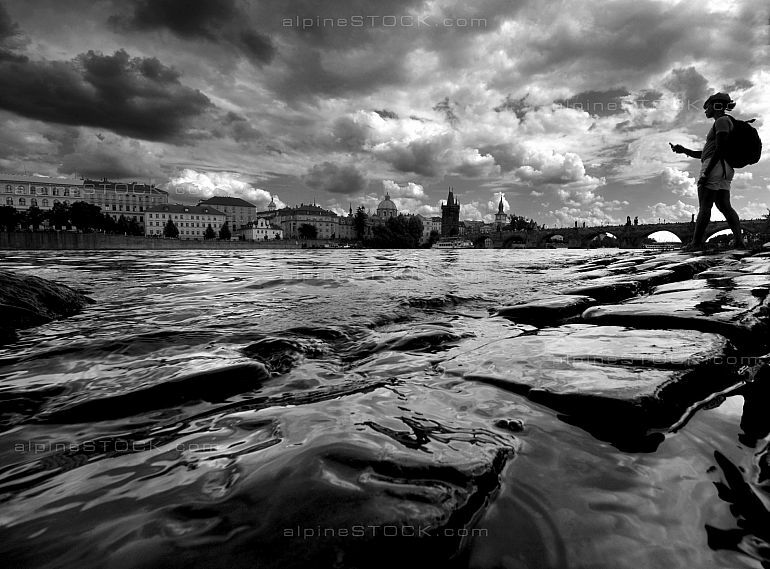 To overcome that difficulty can be fun, and it will strengthen your abilities as a photographer. It's not difficult to understand black and white photography in theory: Instead of colors you only need to see the tonal values of a scene - easier said than done. In practical experience it made me many times exasperated! Take your camera, go out on the streets or venture into nature. Imagine that your only choice is to take one single picture of each scene, and imagine doing this only in black and white. Soon you will realize that you need to decide more carefully which subject you want to capture and what composition you'd like to have, you are required to have a wakeful mind. Try it yourself, and if you like your results, you are invited to introduce your images to us. Depending on how dark or bright a black and white image is or how much contrast you put in there, the picture impression appears very different. In color photography these coefficients can change the impact of a photo as well, but we have the problem that colors can't act the right way - this is the reason why most color pictures need to be post-processed afterwards. The cooperation of intensity and contrast can excite the impression of power, elegance or silence. Photographers need to insert impression in a concerted way and need to know which subject is good for which kind of representation. A personal example: An image of the Church of St. Peter, Zurich. It was shot on a sunny day at the Street Parade. I'm sure you can imagine those thousands of people in the streets of Zurich. The picture is bright, and you can see all the structures in the sky very clearly. The intensity of this image and the patterns in the sky make us feel that everything in this picture is calm and uncrowded. If the sky in the picture would be significantly darker, the appearance would be completely different. The photography would have some kind of sway in it, drawing houses and the Church of St. Peter to a stronger and more powerful look. The picture would appear cheerless and would eradiate some kind of might. In journalism, images often come in black and white and darker tones because they need to convey some kind of strong expression. A good example for that are sad and depressing topics. If you take an article about poverty in a third-world-country, where portraits of children living in the streets are shown, images are most of the time black and white instead of color. The reason for that is our association of color with something good, something to feel joy about, but here we want to show the opposite. We want the viewer to feel pity when he looks at the picture, but at the same time we want him to be fascinated and by the image. This is an effect we can achieve with black and white photography. A photograph is not a video-clip or a movie where you can see how these children live and where everything is in move, where everything changes. In photography you have only one chance, one moment to draw all emotions to one picture. This is what black and white photography is perfect for. 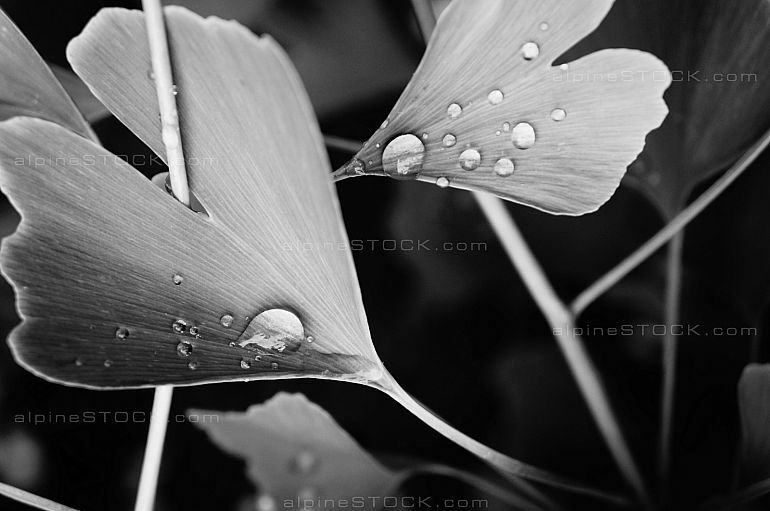 To demonstrate the effect of black and white in nature photography we use the two following images. On the images you can see two different aspects of mountains. At the first you have a bright image which makes the viewer feel it's a calm scene, no matter how windy or chaotic it really was around the photographer by that time. This image won't suggest anything else than calmness to the viewer. On the second picture the mountain is dark and you can see all the patterns in the sky, the picture automatically bristle over with might and strength. It appears as you see an amazing place where the photographer had to accomplish incredible things to realize that photo. 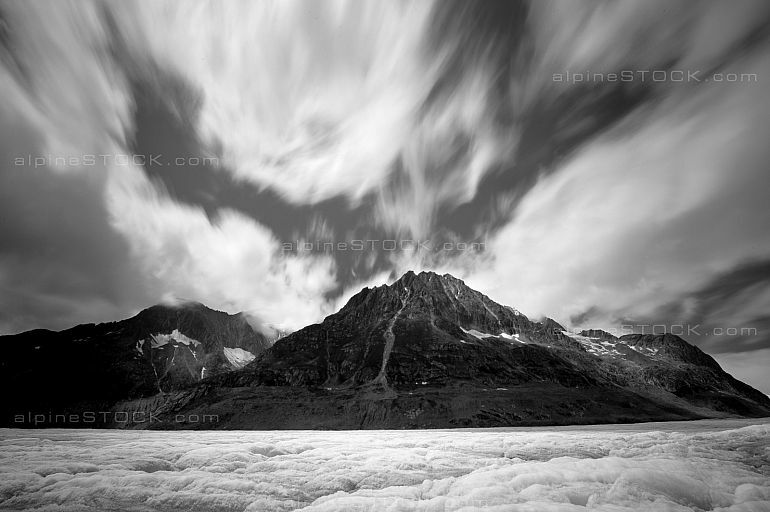 Because of long exposure and the movement of the clouds it makes the viewer feel like getting pulled into the picture, so this image can attract the gaze of the observer even stronger. I could go on like that and write a black and white example for every area of photography, but I think it is already clear how black and white impresses us - a bright image is gentle, calm and elegant, while a dark photo is rather sad, strong, mighty or cheerless. This variety to play with photography, but also to have the power to affect the viewer, means a lot of fun. For me, this is what photography is about. We have the luxury to see the world in color all day long, whenever we want to. Showing the world in black and white as we feel it in a special moment is art and privilege at the same time." 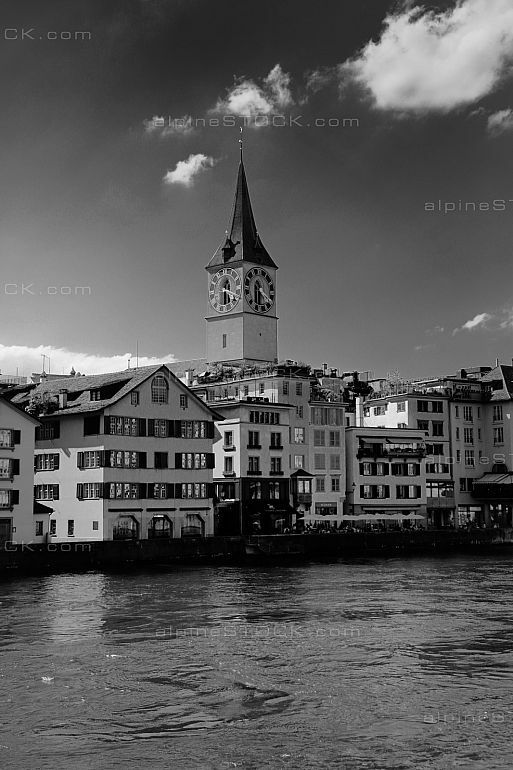 alpineSTOCK.com absolutely invites you to take a ride for black and white photography if you did not so far. Otherwise it’s a great time to improve your knowledge and skills about monochrome. 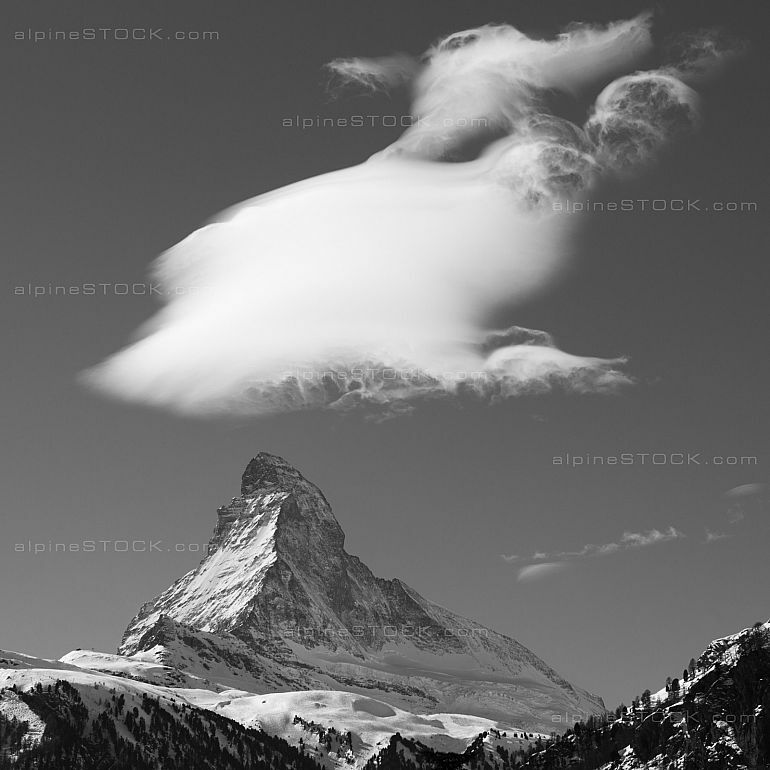 We would be happy to see your images soon here at alpineSTOCK.com!